Solo offers a place where you can relax and unwind. A soothing escape from the everyday pressures and stresses of life. 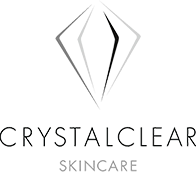 Over the last 20 years we have offered the best of the best treatment and top of the range skin care products, making sure we stay ahead of the game. We pride ourselves in delivering a wide range of treatments from luxury massages and facials to cutting-edge technology in body sculpting, fat reduction, hair removal and skin resurfacing. Our gift vouchers are the perfect gift for any occasion, so why not treat yourself or a loved one today. Vouchers can be redeemed in either salon, on products or any treatments. Solo Beauty pride ourselves in delivering a wide range of treatments from luxury massages and facials to cutting-edge technology in body sculpting, fat reduction, hair removal and skin resurfacing.